“As unlimited contributions have coursed through the election system, no one has been able to point to a specific example of foreign money flowing into U.S. presidential politics as a result of the Supreme Court’s decision. 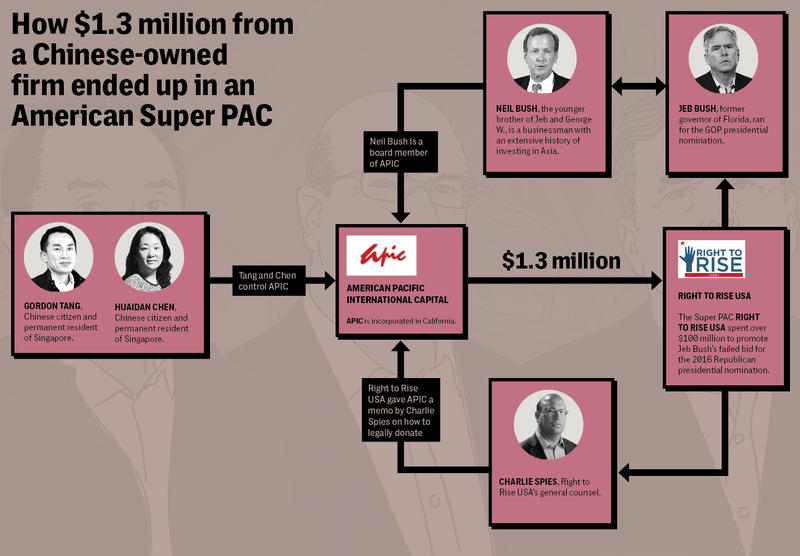 The Intercept has determined that a corporation owned by a Chinese couple made a major donation to Jeb Bush’s Super PAC Right to Rise USA — and it did so after receiving detailed advice from Charlie Spies, arguably the most important Republican campaign finance lawyer in American politics . . .